Leonardo da Vinci once said, “Simplicity is the ultimate sophistication”. People who know me say that my signature style is fairly unassuming. It does drift towards minimalistic design that exudes understated elegance, if I may humbly say so myself. Two years back, I discovered Raw Mango, a name that was and continues to be synonymous with elegance, simplicity, comfort as well as style, and it’s only fair to say that I was completely bowled over. 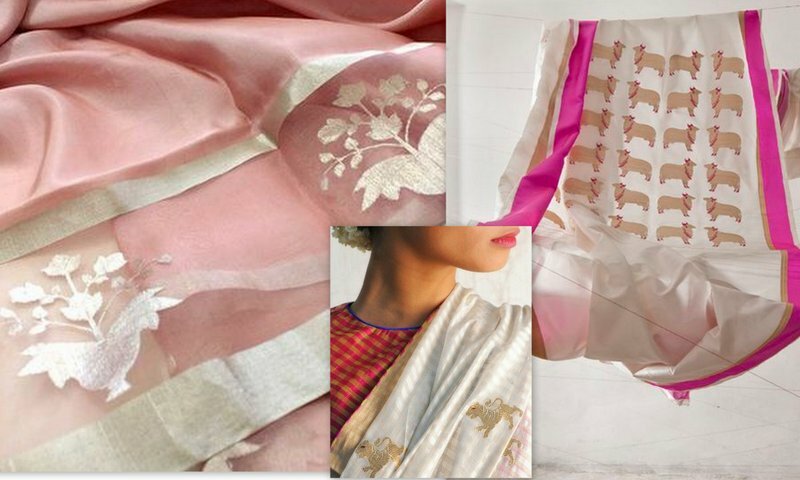 Sanjay Garg’s Raw Mango has given a new identity to the saree and its accomplice, the blouse – contemporising, simplifying, yet reviving the forgotten weaves, techniques and textiles. 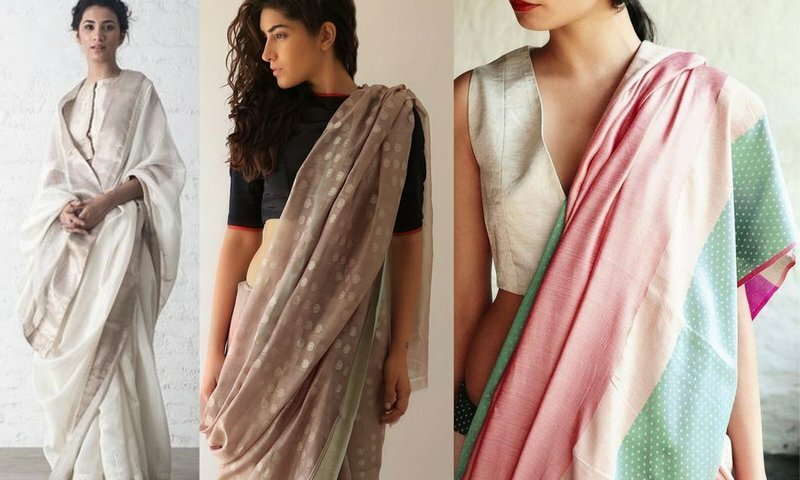 For most, it is synonymous with Chanderi Sarees that drape well instead of fluffing up, effervescent colours, and adorable motifs inspired by everyday life. For some, it symbolises innovation steeped in history, a purity of style and craftsmanship. 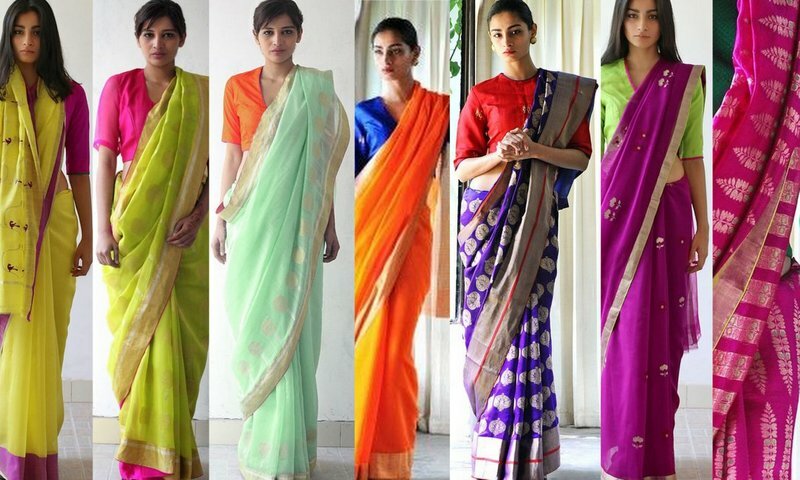 What makes the Raw Mango Saree so coveted and endearing to you? Wearing a contemporary drape with motifs that make you nostalgic, the vibrant colours with equally cheerful names, or is it wearing a weave that has been re-invented and re-imagined from the annals of history? Let’s explore their brilliance further. The first thing I noticed was the beautiful motifs, that took me down memory lane. The four petal flower that my mother loves to doodle, the mogras strewn on a pink saree that hold a very special memory of Kathak dance sessions in Allahabad, the crows that remind me of umpteen stories during childhood and the monkeys who remind me of summer holidays at my grandparents’ home in Kanpur. I am sure everyone would have their favourites, from the cows and lotuses that strolled out of the Pichwai paintings or the house sparrows and parrots that seem to have gone amiss in our surroundings. There seemed to be an instant connect with these motifs; nothing ornate, not the least ostentatious, just awesomeness in simplicity! People say that they can spot a Raw Mango saree from a distance by the sheer subtlety of vibrant colours. I would agree that there is definitely a refinement in the brightest of orange-pinks and greens. A look at the collection feels like a celebration of colours, which are not the least gaudy or in-your-face. The tones and the tints of colours used, serve as a reminder of traditional colours like the Rani pink, the Phalsa purple, the Haldi yellow or the Totiya and Dhaniya green! However, nothing quite like the lime green and Sharbati ( a mix of orange and hot pink) for me. What is your pick? Sanjay Garg displays a certain fondness for experimentation – be it with the weaving technique or the drape of the fabric. His love for the Chanderi fabric is not unknown, having worked with the weavers directly to make key changes to the very nature of the fabric. What I found quite interesting was that his saree doesn’t crack at the folds, is quite strong unlike a typical Chanderi , yet it is lighter and more drapable! For someone who has worn and known the Chanderi, you’d agree that this is no mean feat! Another thing that caught my eye was the Raw Mango collection in 2016 dedicated to the three-shuttle technique, also known as the Korvai of Kanchipuram or Kottu of Andhra Pradesh. This technique involves a specialised process wherein the borders and pallus, which are woven separately, are in contrast colours from the body of the saree. Expert hands then weave them into the main saree using an interlinking weave called the ‘pitni‘. Three shuttles are used, since a saree has two borders and a body, and hence the name. Due to its complexity and lack of support to the weavers, this technique is fading. Sanjay worked with these fast diminishing group of weavers and created understated, elegant hand crafted sarees. There are more interventions like the one with Mashru, cotton, and the work on the Kadwa Brocade technique. Known to be an epitome of handloom brocade weaving in India, it is extremely time intensive. Knowing Sanjay’s detailing and unique motifs, I wonder how long does a saree woven with this technique take? 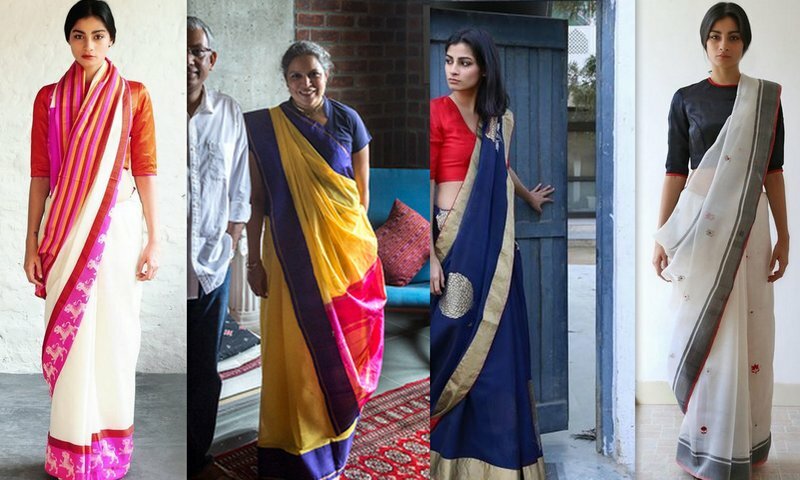 Sanjay Garg is on a mission to simplify the saree – be it the traditional motifs or his experiments with weaving. In doing so, he has changed perceptions about the wonderous six yards. He is one of the pioneers of the ‘anti-fit’ blouse movement, saving many from the suffocating clasp of the blouse. Raw Mango presents a collection of sarees, textiles and more in London on 3rd and 4th June, at Asia House. If you’re in and around London, do go and experience the Raw Mango luxury for yourself. 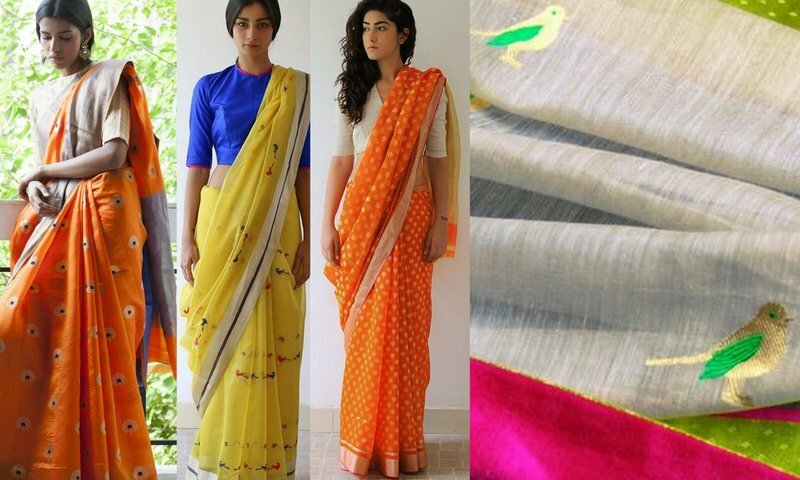 I love this post, it’s really nice, Visit http://www.unnatisilks.com It’s provides thousands of branded Handloom sarees,salwars,kurtis,dupattas,fabric,with prices.